What can I do to rebuild my credit after receiving a bankruptcy discharge? A chapter 7 bankruptcy filing remains on your creditor report for ten years. Whereas, a chapter 13 bankruptcy filing remains for seven years. However, under chapter 13 bankruptcy, you repay a portion of debt owed for a maximum of five years. Consequently, the bankruptcy filing will be removed from your credit report sooner than a chapter 7. Rebuilding your life following a bankruptcy can be difficult and overwhelming for many individuals. Most people are concerned of how they are going to repair their credit score. However, if you play your cards right, it’s easier than you may think. While it’s true that you should not expect a high credit score following bankruptcy, if you manage your credit properly, it’s possible you could have a 700 score or higher (depending on credit score pre-bankruptcy) in as little as 4 years. Here are a few tips that could help you reach a high credit score following a bankruptcy discharge. First things first, know your credit score. 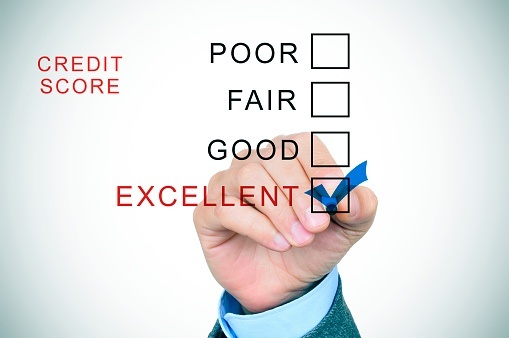 Review your credit report and clear any errors. Check that your credit reports (ie. TransuUnion, Equifax, and Experian) have accurately recorded your pre-bankruptcy debts as included in the bankruptcy. Under the Fair Credit Reporting Act, you have the right to dispute inaccuracies. You can review your credit report for free at www.annualcreditreport.com. If you agreed to reaffirm debts in your bankruptcy, such as a car loan, mortgage loan, or if you have non-dischargeable debts, such as a student loan, you can use these debts to rebuild your credit. Make payments before the due date and always make at least the minimum payment. If you can pay more than the minimum, do so. Your payment history makes up 35% of your credit score. Following your bankruptcy discharge, you’ll receive credit account offers, but they’ll generally include higher fees and interest rates. Your best bet is to acquire a secured credit card and start making regular, on-time payments. Secured credit cards use a secured account as collateral for the credit limit and are easier to be approved than a standard credit card. The bank will likely provide a credit card line that’s 50% to 100% of the deposit. Consider getting a gas card. If you drive, you’ll have to purchase gas. Make necessary purchases work for you. Gas cards typically don’t require applicants to have good credit. This suggestion works for retail cards as well. Consider opening a new checking and savings account. Creditors look for bank accounts as a sign of stability. A savings account improves your standing with creditors and will make them trust you. As early as 1-2 years after filing bankruptcy, you may be able to receive a home loan. Governmental agencies such as the Federal Housing Administration (FHA) and Department of Veteran Affairs (VA) have specific guidelines for accepting borrowers who have filed for bankruptcy. Make sure you understand your financial limits and to keep up with your balances. Make a budget and stick to that budget. This shows future lenders that they can depend on you to pay what you borrowed. Also make sure that you save for any potential emergencies. Closing accounts reduces the amount of credit you have available to you, which could potentially lead to lower credit scores. If you have additional questions about bankruptcy and how bankruptcy will affect your long term financial planning, please contact us and we’d be happy to answer any questions you may have.